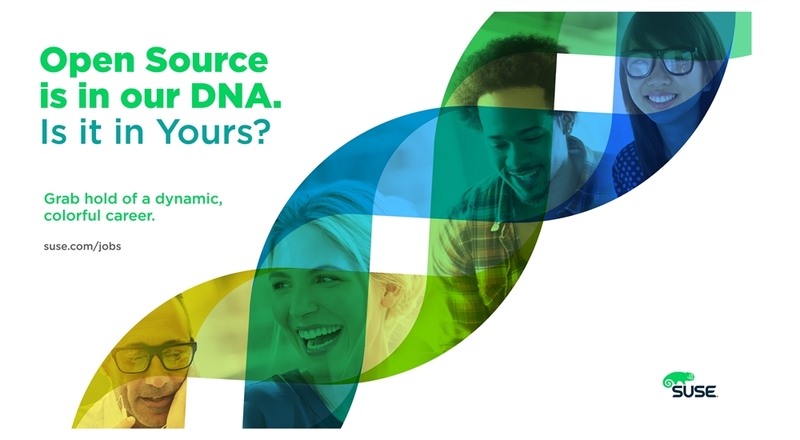 SUSE, a pioneer in open source software, provides reliable, interoperable Linux, cloud infrastructure and storage solutions that give enterprises greater control and flexibility. More than 25 years of engineering excellence, exceptional service, and an unrivaled partner ecosystem power the products and support that help our customers manage complexity, reduce cost, and confidently deliver mission-critical services. SUSE is also an active member of many open source communities, such as the openSUSE Project, OpenStack, Ceph, Kubernetes, Cloud Foundry, and more, to help drive collaboration among global communities to help solve some of the world’s most challenging technology issues. We are seeking an exceptional individual to join our pre-sales engineering team as a senior cloud technologist focused on SUSE’s IaaS, CaaS, & PaaS solutions throughout the Asia Pacific region. The ideal candidate will demonstrate technical leadership and subject matter expertise with container and cloud computing concepts, in particular Kubernetes, OpenStack, and Cloud Foundry -based solutions. You will be part of a sales organization, but will remain, at the core, a technical expert who actively participates in the sales process. The ultimate goal of the senior cloud technologist is to position the correct solution based on customer requirements and getting the technical win. 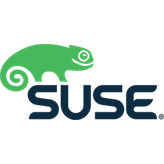 This position reports into the Chief Technologist SUSE Asia Pacific. The role will cover markets across APJ and will have a particular focus in Taiwan, Hong Kong and China. Be recognized as a subject matter expert and go-to person for peer sales engineers throughout APJ. Provide product and solutions knowledge transfer to customers, partners, sales people, and peers. Take a pro-active leadership role in designing, creating, installing, and supporting Proofs-of-Concept/Product Pilots in pre-sales opportunity assessment. Develop & share product demos, white papers & presentations. Communicate and demonstrate the technical features and customer/partner benefits of SUSE products and solutions to solve customer problems and achieve customer/partner opportunities. Build trusted relationships with SUSE Product Management and R&D in order to provide solid market feedback, help prioritize the implementation of market requests and get their support in complex partner or customer projects. Provide market feedback and competitive information to Product and Solutions Marketing, Consulting, Training and Support. Drive revenue while working throughout APJ with sales and presales colleagues. Pro-active, ongoing communication & collaboration with peer sales engineers, sales account managers, and partners in the key markets and review with them any cloud infrastructure opportunities. Pro-active, ongoing communication with product groups to communicate customer needs and refine product requirements. Professional delivery & demonstration of technical closing skills. Maintain and drive the presales requirements for cloud & container infrastructure go-to-market. Skills and Qualifications: The successful candidate will have the following attributes. The ideal candidate is an experienced pre-sales engineer with a focus on cloud. Minimum 3, preferably 5+ years’ experience supporting the sale of complex enterprise solutions, architecture including infrastructure and cloud solutions to large enterprise accounts. Advanced knowledge of open source cloud Infrastructure-as-a-Service (IaaS) solutions like OpenStack Platform or KVM, including experience deploying and architecting IaaS solutions. Advanced knowledge of container management solutions, especially Kubernetes & corresponding ecosystem projects. Understanding of the architecture, design and implementation of private cloud solutions. Knowledge of current and emerging PaaS solutions (specific experience with Cloud Foundry will be highly regarded). Deep knowledge of Linux (SUSE preferred, but other versions acceptable), Windows, common virtualization platforms and cloud platforms. Open source background is a plus, although not essential. Excellent networking, presentation, and communication skills. Proven team player with ability to leverage resources and support as required. Strong interpersonal skills – ability to get on professionally with many types of people in a highly matrixed organization. Self-starter who is able to work with minimum supervision. Effective communication through oral and written communications to both technical and business audiences. Commercial understanding of the business impact and implications of strategic software products and able to use this experience to maximize the opportunities within a sales situation. Ability to interpret customers' business problems and technical issues and effectively explain how a solution will align with the customer’s needs or requirements. Willingness to travel throughout Asia Pacific region up to 70%. Business fluency in Mandarin (written and oral) . What does SUSE offer? The ideal candidate commits to and follows through on a development plan that will build skills (sales, product, business management, technology, etc) necessary in order to grow with SUSE , make a difference now and in the future of SUSE and to be recognized by stakeholders as an accomplished SUSE representative. Learn more about us at www.suse.com. Open Source is in our genes. We build a great company for our customers, partners, owners, communities and employees. We take responsibility, both individually and collectively and act with integrity and respect. We communicate openly and honestly and foster teamwork. We expect the same mindset from our new colleagues and part of our recruitment process is focused on these culture cornerstones.